In 2018 the UK Government launched its Road to Zero strategy, with ambitious targets of at least 50% and as many as 70% of new cars constructed to be ultra-low emissions by 2030 and by 2050 they want almost every car and van to be zero emission. Outlined in the Government document, The Road to Zero, the plan promises a huge expansion of the vehicle charging infrastructure that will be needed to keep these electric vehicles moving efficiently. 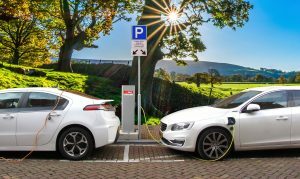 Plans are afoot to increase the level of charge-points, with one every 20 miles along the strategic road network by 2020, along with charging points in all new homes and the retrofitting of lampposts with charging fixtures. One thing is for certain, the Government’s plan offers an enormous opportunity for the many businesses and industries involved in its creation, development and upkeep. Research and development teams will be constantly innovating, manufacturers will be building the devices required, the installation of the network and charging points and maintaining these systems will need a fleet of service personnel to fulfil the plan proposals. It took over 20 years for electric cars to reach their first million in sales, fast forward to today and a million electric vehicles are being sold globally in a period of just a few months, the momentum is certainly gathering when it comes to the transition to electric vehicles. The uptake of the outlined policy is certainly making headway, Oxford is planning on introducing the world’s first ‘Zero Emission Zone’ in its highly-congested city centre. In London, the Ultra-Low Emission Zone began on the 8th of April 2019, meaning drivers paying a healthy fee if they don’t drive an electric vehicle. Car manufacturers such as Jaguar Land Rover and Volvo recently announced that they will stop launching new models of car that feature just an internal combustion engine from 2020 onwards with other manufacturers likely to follow. One thing is certain a change in how we commute, or rather the vehicles we will be travelling in and how they are powered is coming and moving fast. Electric vehicles are obviously cleaner when it comes to producing emissions when in motion when compared to their petroleum-based counterparts, however, they do pose additional challenges. In the UK and most other countries, the existing transmission and distribution networks will struggle to meet the expanding fleet of electric vehicles which will demand masses of additional power. Although an electric vehicle may produce zero emissions, producing the energy used to charge it may not be the case, thus the energy grid will need to be powered by a much higher level of renewable energy and low-carbon methods. Energy is generally produced according to demand, and renewable sources like wind and solar can be unpredictable, leading to instability in demand provision as the load increases further. Countries that depend on Hydroelectric power will be better placed environmentally. The batteries used to power electric vehicles are rising in capacity, that coupled with their growth in use will equate to existing charging methods struggling to meet future demands. There is no doubt that the changes to the way we commute around our towns and cities are firmly headed in the direction of dependency upon electric vehicles, with natural gas, hybrid and fuel cell powered transport, both public and personal, making up a percentage as well. Recent research suggests that fast-charging an electric vehicle battery in 10 minutes will require 300 to 400 kW of power, if you have several cars all charging at the same charging point you will need about 1MW of power. No 240V mains plugs here, a facility like this would need to be connected to an 11 or 33 kV grid. Primarily it is in this area where the infrastructure needs to be expanded and future proofed (along with the increase in green energy production), to make EV’s lend themselves to everyday life. There are other considerations of course, such as how will people without their own parking area effectively charge their vehicles? Will hybrid vehicles that feature a large electric motor that has its batteries recharged by a small petrol generator be more effective in the short term? Will the roads eventually incorporate induction charging in their construction so that your car can be charged just by being on the road itself? Time will tell. 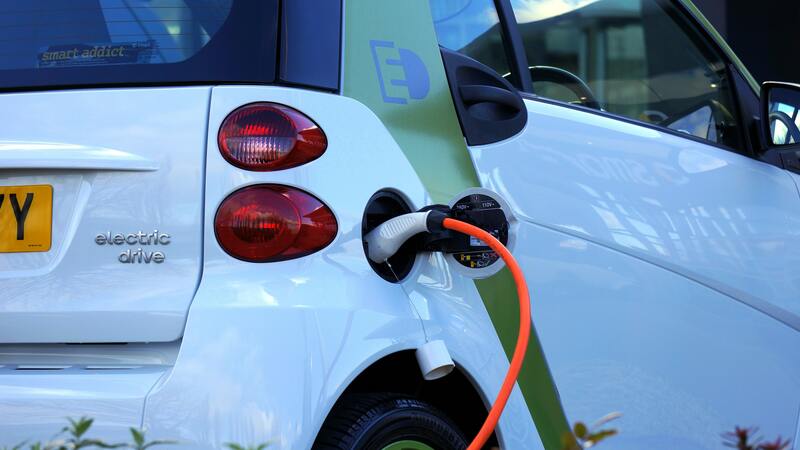 Electric vehicles charged at home will utilise the AC source found there and be charged using a cable, known as Mode 2 charging, with an integrated monitoring system and a dependence on the vehicles internal charging circuit to manage the charging process. Ultimately this means that AC charging at home is a relatively simple and safe process for those who possess their own parking facilities. 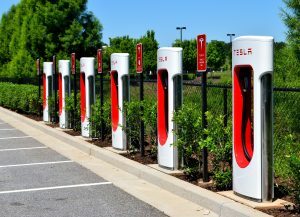 Large scale quick-charging stations used to sustain an entirely electric vehicle network would usually be an unearthed DC system, known as Mode 4 Charging. Charging via DC would involve supplying an external DC voltage to a vehicles network of batteries connected in series with a governed voltage so that it is always slightly higher than the cell voltages of batteries. 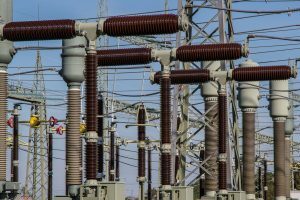 This process involves complicated control systems as the currents involved can be several hundred amps, which is also potentially dangerous. Unlike AC charging at home, this DC method is ideal for rapid recharging during a journey and depends on the insulation monitoring device in the car being deactivated with the entire charging process being monitored by the charger’s insulation monitoring device (IMD). 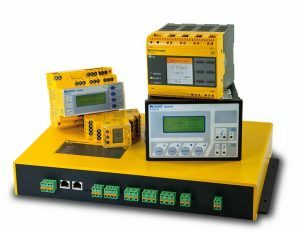 Companies like ABB, Phoenix Contact, Schneider, DOLD, Bender, Siemens and others offer a range of residual current monitoring sensors and insulation monitoring devices that are perfectly suitable for Mode 2 and Mode 4 vehicle charging methods. To meet the growing need for these devices, Kempston Controls stocks an impressive range of products suitable for EV charging applications, and as ever, if we don’t have the products on our store shelves, we can certainly source it for you. Our dedicated technical and sales team are always happy to help please call +44 (0) 1933 411411, or email sales@kempstoncontrol.co.uk or technical@kempstoncontrols.co.uk for all your vehicle charging application requirements.